Home PC Software Another scammed customer today, now with Ransomware! I am still amazed that awarenesses on this is so bad, this is why I ask everyone to share these posts to try and raise awareness and hopefully put an end to these scams! Anyway, the gent then goes on his laptop and its full of adverts whenever he clicks on any pages on the tinterweb – so he phones his bank to try and stop the payment as they have obviously made things worse – The bank (Barclays) then explain that he has been scammed and giving therm access to his PC was the worst thing he could do, but he would get his money back, they had actually taken £107. He then finds the number the guy from Windows which they gave him in case he needs more help, so, yes you guessed, he calls them, which is most likely a premium rate number at £5 per minute, but I digress, he tells them that his PC is worse than its ever been and they best get it fixed. So when he tells them NO and By the way, I have been on to the bank, they said “OK but don’t expect to use your PC until you pay” CLICK….. He goes back to his PC which is now turned off, he starts it up and it will not boot windows any more! So come on people, if you know ANYONE who you think may fall for this scam PLEASE share this page and my other pages about security and scams, we need to stop these people as soon as possible! Victims are cold called, usually by phone and told that there is a problem with their computer and for a nominal fee the suspect can fix it. The suspects often claim to be working with Microsoft who have identified that the computer has been infected with a virus and offer an update or fix. The victims are talked through the logon steps in order for the fraudster to gain remote access to the computer. The victims will then often witness the mouse moving and changes being made to the display. They then pay a fee (anything between £100 and £300 has been reported to Action Fraud) and are told the problem has been resolved. Once the initial payment has been processed it is not uncommon for additional larger payments to be debited from the victim’s account without their permission. In addition to charging a fee to fix the computer, in most instances programs are also installed that allow the fraudsters unlimited access to the computer without the victim’s knowledge. This permits them to have access to information such as personal data as well as view online transactions so that further illegal activity may to be carried out. 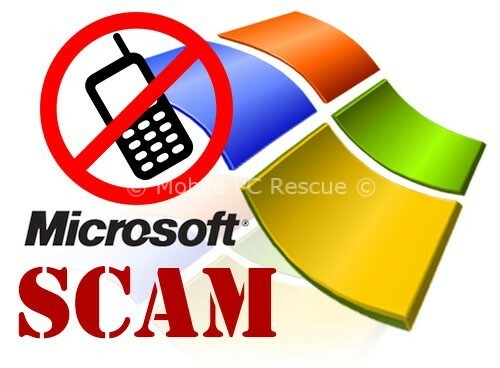 NO legitimate IT security company – certainly not Microsoft, BT etc – is ever going to call you in this way. For one thing, they can’t even tell that your PC is infected. They’ve got your name from the phone book, or any one of the thousands of marketing lists on which your details probably reside. They know nothing about your home computing set up – they’re just chancers. 1. Tell them you don’t own a PC. you’re a pensioner, even if you’re not – Put the phone down. Get rid of the caller and move on with your life. It is not a legitimate call. 5. Finally, change any passwords and usernames that could plausibly have been compromised, and run a scan with up-to-date Kasperky Internet Security (Which we sell, and ONLY sell this because it’s so damn good). We can do all this for you and we use other software to check for Backdoors and Spybots. and YES there is a number 6: tell everyone about it. This scam preys on people’s insecurity about lack of tech knowledge. It is very easy to be a victim, and the best defence is sharing knowledge. It is much easier to put the phone down if you are forewarned. Any problems, give us a call – if you are not local find a trustworthy IT consultant near you or let us do it remotely! Windows 10 Anniversary Update – What is it? How do I get it?